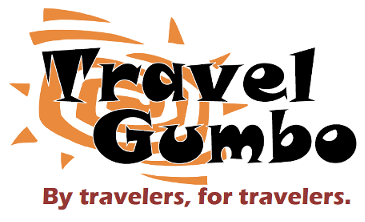 This has been by far TravelGumbo's most popular blog so far. Some questions we had answered from followers. Thanks! The address of the field was 13155 North Broadway, Cortez, Colorado. According to custom rod and restoration, the bulk of the property was sold and he just took o r moved the last of the cars. So good PHeymont took the photos in the fields heyday! Thank you Scubatruckdriver for the update. And welcome to TravelGumbo! They should give these cars to the Cubans. They would have them painted, polished and running in short order. Can't help but love old cars! My English son collects old English Cars. He's rebuilt about 5 so far and enters them in shows. But he lives in Delaware ! It's not unusual to pack a replacement Floor Pan for a Mini in my Luggage when I travel from the UK to Philadelphia! Great story! The way restored car prices are now, these surely must be valuable to the right collector. Agree with Dr.F that the Cubans would sort them in short order. Some of them look almost rusted through, but others seem to have at least decently preserved bodies that could be easily restored, I would think. I love these old cars! They certainly don't make them like this anymore. Just had a look through your extended album of 94 fascinating pix. I'd have to sit in every one of them before I could move on. Like lost dogs - and all with a story to tell ! Reminds me of the airplane boneyard near Davis-Monthan Airfield in Tucson. Re: Gallery: Grand Army of the Republic Highway. One of the Most Scenic Road Trips in America! Thank you for the great photos! I've taken the Interstate many times and it is indeed very scenic.The weather can change rapidly so your precautions people should take note of. Also make sure your car is in tip top shape. The Rockies are a tough climb and I've personally had a transmission go out on me on the journey. I've always loved the part clouds play in the landscapes of the Southwest. You've got some good ones, DrF...thanks. Does winter arrive early in these gardens ? Is that due to the elevation? Does it remain cool in the Summer too ? I'm thinking of the likes of Mexico City where it should be tropical but its elevation keeps it cool all year. Lovely photos of the Flora and Gardens. Was it really that empty ? Thanks for the comments, Garry. Yes, winter arrives early because of the very high altitude. Over a mile and a half above sea level. Summers are very nice -- warm (75-80F) dry pleasant days (no humidity to speak off), and it always cools down nicely at night, so most places don't even have air conditioning. It really was that empty. No more than 6 folks in the garden including my wife and I, and of course not counting the hundreds of birds flying about. Thanks for reminding me of my time in Boulder. The city's been such a pioneer in healthy foods for years . I love markets...and the history they embody, from those like Basel that have been in the same place for hundreds of years to the 19th century enclosed markets that many cities developed (and some kept!) but I have an especially good feeling about markets like this one, and our New York Greenmarkets that have revived the market tradition in places where it was nearly gone, and made a success of it. What a long sentence! Thanks for the beautiful pics. One of these summers I'm going to start touring the U. S. of A. Excellent idea, rbciao! Although I'd recommend visiting the desert regions of the southwest in the shoulder seasons, rather than during the heat of summer. No question in my mind that some of the best scenery in the world is in North America. Ciao! What an extravaganza of colours ! That's the type of market I love. All the fresh produce in front of the counter so you can select your own choice. When I'm on the road touring I have to be reminded that I cant cook all those delicious vegetables. There's a few there I couldn't name - never seen them before ! Wonderful display ! Awesome car DrFumblefinger! A very nice find indeed Thank you for sharing it with us. By the way, if I had to guess the vintage, I would also say 1955. I love cars with personality and this ones got it! Wow...that is one tough old car. I can't help but be impressed that this old car is still on the road, especially if the engine looks half as bad as the body. They don't make them like this anymore. By the way Dr Fumblefinger, to answer your above question, I believe this is a 1974 Chevrolet Impala, or at least what's left of it. I need to get to this Park. It is simply amazing! Besides Arches, what else can one do around the Moab area? There's a ton of stuff to do around Moab, Travel Luver. There's also scenic Canyonlands National Park nearby, well worth exploring. Off-road biking (bicycle, not motorcycle) is extremely popular. Hiking in the cooler seasons. Whitewater rafting is excellent in the summer. And you're less than a day's drive from your next Utah destination, such as Bryce, Zion, or Monument Valley. One of my favorite spots in the US! That sanctuary is beautiful and the fact that it's free is amazing. Very nice photos! I'll have to stop there next time I'm in the area. What a great piece and destination! This year I managed to visit Hoover Dam again with friends from another country and they saw the amazing construction it is. We just left the area and saw elk in the exact same spot. There were so many of them! Is this a location that stays frozen for most of the year ? It's unusual to see winter holding its grip until May. I love that part of Colorado, lived for 5 years farther down Clear Creek in Golden ("It's the water." Coors). I did some exploring but never got to Silver Plume. But to nearby Georgetown to see where my miner 3rd great grandfather, Gustavus Augustus Williams plied his trade for a number of years, according to the records. The architecture is much the same as here in California Gold Country and my family's presence in the West for generations means it looks like home to me. Thanks, DrF. Many of my ancestors travelled to the new world in search of their fortune. A few stayed and started a new family line. And a few lost their lives to logging and other accidents. So were the few inhabitants of Silver Plume an ageing population ? Did the town have that look of a closing down sale ? I love visiting small towns with a rich history. Will it disappear into the dust of time ? Wouldn't it be great if someone did a history of these one time boom towns before they vanish. Thanks for your comments, Garry and PortMoresby. Those few people left in the town were a mix of older folks and some younger ones. I expect the town will continue in its present state for sometime. Those who did well in the mining booms were always those first there (who staked the claims), but even more so those who came in and provided services (groceries, hotels, restaurants, bars, brothels). The latter were often the only ones who kept any of their wealth.